Last October, shortly after losing her husband to cancer, Anna was diagnosed with breast cancer. "I was just getting my life back and coming to terms with being a widow when I received my own diagnosis. Maggie's has been such a great support to me." Clare is living with Neuroendocrine cancer. "Maggie's is such a great contrast to the hospital, so calm and relaxing. I was diagnosed 3 weeks after my 40th birthday meaning my celebrations ended very abruptly. 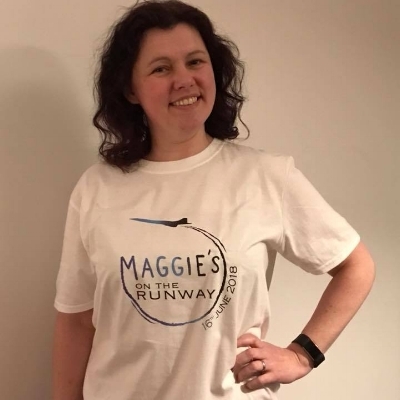 I cant think of a better personal celebration to now be involved in Maggie's on the Runway." Diana was diagnosed with breast cancer in late 2015, two weeks before her partner's diagnosis. "We have both now finished our treatment and I honestly don't know how we actually came through this. The support from Maggie's has been amazing. I walked through the door feeling like I was falling off a cliff and they caught me and helped me back up again. With their help I remain upright and positive." 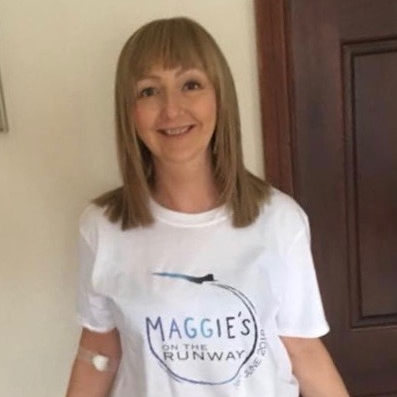 Gill was a guest at the last Maggie's on the Runway Fashion Show in 2016, little did she know that she herself would be diagnosed with ovarian cancer only a few weeks later. "I want to show my friends and family that I am coming out the other side. I want to have the same impact on people as the models had on me in 2016." Helen is living with metastatic breast cancer. "I am determined to live the best life I can with cancer. This isn't something I would normally do but a diagnosis can make you look at life differently and embrace new experiences." Mandy's breast cancer diagnosis meant that she couldn't donate a kidney to her beloved son. "When i was told I had breast cancer it was a huge shock, I didn't really take this news in. Maggie's offers information and support to guide you through the difficult times"
Now that Mandy 's treatment is finished, her husband is stepping in to donate his kidney to their son. Paula was diagnosed with breast cancer in 2017 having lost her mum to the same illness, the previous year.
" I want to show that you can still look and feel beautiful inside and out, regardless of what life throws at you." Four years after her breast cancer diagnosis, Sam's cancer came back in her humerus. She underwent pioneering surgery to replace the bone with a prosthetic piece. This had to be eventually removed due to infection. A further diagnosis in September 2016 means that Sam is still undergoing treatment. "I am living life as best as I can with a duff arm and a good arm. This is the chance to rattle me out of my comfort zone and ditch the black!" Sue is living with metastatic breast cancer that has spread to her organs and more recently her brain. Thankfully, Sue's treatment is continuing to keep the disease at bay. Sue's husband Mark is proud to be escorting his wife down the catwalk. "We were curious about Maggie’s and popped over to see what it was all about approx 2 years ago. Maggie’s has been a life changer, somewhere to rest and feel safe. We both love the centre, the staff are flipping amazing, so warm, friendly, empathetic and great fun. Mark drives us up early in the morning and then back late at night. He finds Maggie’s a great place to rest in a very chilled out relaxing atmosphere whilst I chat and catch up with the staff/friends and whats going on. If Maggie’s wasn’t there I think it would make our journey more stressful." It's been 10 years since Susie's breast cancer diagnosis and she is an advocate of regular checking, fast detection, and speedy treatment. "Although I am still a very positive person, my confidence has wavered a little over the past few years due to the changes in my body as a result of surgery. I think that the catwalk may just give me that extra boost I need"
Former Maggie's on the Runway model Wynn is living with sarcoma. Following her catwalk debut in 2016, Wynn had to undergo radical surgery resulting in an above the knee amputation as well as open lung surgery. For the third time in her life, Wynn is now learning to walk again. And she’s preparing herself a second outing on the catwalk - this time with a prosthetic leg.